Home » Africa » Land Use Charge: The Argument Against Paying Any Tax At All in Nigeria. Land Use Charge: The Argument Against Paying Any Tax At All in Nigeria. Nigerians do not owe no government any tax, as the government is indeed not keeping its own end of the bargain. 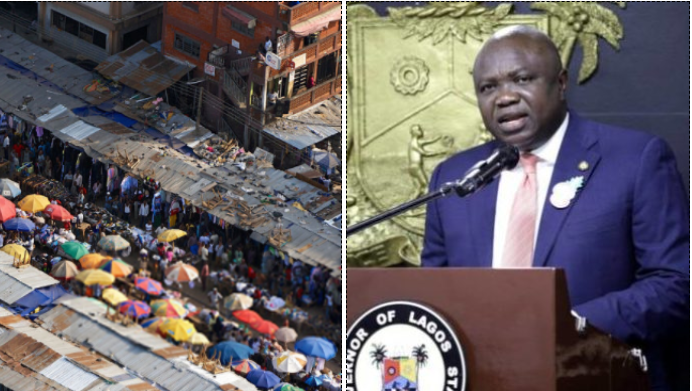 The ambition of Lagos state Governor, Akinwunmi Ambode coinciding with the decline in oil revenue to Nigeria and consequently revenue allocation to every state has given rise to desperation to look elsewhere for funds. In the case of Ambode, he looks nowhere than to lash on to a bill that was last visited in 2001, which levy a tax on properties in the state, called the land use charge. The Lagos State government intends to conduct a repeal of the 2001 bill and enact another bill which will see property owners pay drastically more than they pay now. The same measure is being proposed in FCT and there are now fears that there will be a bandwagon effect where various state governments will follow suit. “Now, the question is this, those who are having commercial properties, the rental income they were getting in 2002 as against the rental income they are getting in 2017, is it the same? The issue is this, the level of infrastructure that existed in 2002 as against what has happened in the last 15 years, are they the same? Did it not come at a cost? So, why is the market value of the property that you built with one million, 15 years after, you are selling at N20 million? Lagos State government’s argument relies on the provision that the 2001 bill is meant to be reviewed every 5 years, if they had done so, the charge would have gone up 3 times in the last 15 years. Government also proposed a synchronized the scheme whereby property owners pay only one bill which harmonized Land Rates Law, Neighbourhood Improvement Charge Law and Tenement Rates Law, meaning When passed into law, all other rates on land cease to operate except the Land Use Charge. If the government failed to review the “land use charge” for 15 years and adjust taxes payable on property in a measured and gradual way, focusing instead on oil revenue and federal allocation, the citizens should not pay penalties for government failures to carry out its duties. If the government fail to collect its taxes regularly by issuing bill, citizens should not be blamed for not paying, and levying astronomical backdated arrears should be contested, in as much as it is the duty of citizens to pay, it is first the responsibilities of the government to perform its administrative duties of issuing assessment and payment notifications/bill on an annual basis. Taxation has not been the strength of any country in the developing world, a catch 22 case whereby the politicians and government will rather you not pay tax or poorly pay tax so that you as a citizen do not have interest on how the government is being run. A well run tax regime put government under microscope, forced accountability, and increases participation of citizen in the running of the nation, in other words, taxation forms a direct link between the citizen and government, a contract that citizens pays into the coffers and the government delivers vital services and are accountable to the people. The oil money in Nigeria over the decades has provided various government at every level with an endless source of revenue, hence breaking this vital link between the people and government, consequently there is no accountability and corruption and reckless embezzlement became the order of the day, hence provision of services are at the mercy of the government. However, the fact that the tax regime in Nigeria is loose, poorly administered, inconsistent and full of corrupt practice does actually not mean that the government is exonerated from its responsibilities of protecting and providing services for its people. No government has money of its own, every penny a government spend is acquired in the name of the citizens, either through lending or oil revenue allocation which belongs to every citizen, so by that virtue, Nigerians are still entitled to hold the government accountable for gross failure and criminal mismanagement over the years that has crippled the economy during downward trend in oil revenue. Therefore, it can be argued that with the standard of living in Nigeria, the poor services, lack of healthcare, poor security, lack of strong judicial system to mention but a few, some of the things that falls squarely under the responsibilities of the government, Nigerians do not owe no government any tax, as the government is indeed not keeping its own end of the bargain. As a resident and citizen of the United Kingdom, every tax I pay is define and purposeful, HMRC have started sending citizens breakdown of how taxes are spent, containing in percentage term, the proportion that is spent on security, healthcare, education, welfare etc, this gives me the right to question the government if I find any of these services falling short of my expectation. We are both holding our end of the bargain, and if there is to be any changes to my tax, this is never arbitrary and time is provided for me to adjust to the new regime, so I cannot see on what ground any government is levying taxes of any kind on citizens in Nigeria. However, given that the government is powerful and can take without giving, using all the apparatus at their disposal, Nigerians are now facing the reality of being chased for taxes even though they enjoy no social amenities as citizens of the 8th largest oil producing nation in the world. Saying that, if taxes are to be levied on people, it should be done with sense and compassion, considering the people that will suffer the most. There is widespread hardship in the country anyway, with housing particularly affected as people are unable to afford reasonable or quality housing, sudden rise in property tax will only increase this hardship on people, as the property owners will simply transfer the levy to tenants indirectly by increasing rents. The Lagos state ambition to build a mega city should not be on the back of already weak and poor, changes should be gradual following consultation and judgement of affordability be done before implementing any changes.